I’ve written recently about the major components inside today’s smartphones, including smartphone power systems and the limits to how thin a smartphones can be. This post is about the applications processor, or APU. The term APU arose to identify the chips in smartphones that could run an operating system and applications software. These capabilities made them more comparable to computers than early cell phones. While earlier cell phones also contained a processor, it was a baseband processor tasked only with handling the digital processing related to the actual communication over the cellphone radios. State-of-the-art APUs in today’s smartphones are the pinnacle of the system-on-chip (“SoC”) movement that began in the nineties. Integration has always been central to the microelectronics business. Combining the various functionality offered in multiple discrete integrated circuits became a natural evolution that would reduce component count and circuit board complexity leading to a system cost reduction – good for consumers and handset maker profit margins alike. Nowadays, it is standard for your iPhone to be powered by an Apple A6 APU integrating multiple ARM cores along with several graphics processing units (GPU), large on-chip cache memories, memory controllers for communicating with off-chip DRAM, audio and video decoders (and encoders), USB host controllers, and other analog circuit functions. It’s not just Apple. Every smartphone is powered by one of a number of ARM (or similar but proprietary) microprocessor core-based chips offering quad-core processors and multi-core GPUs. 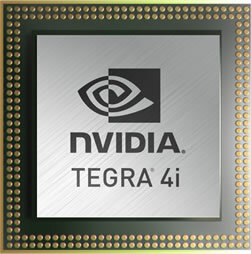 For anyone wishing to explore further, the highest performance chips are Nvidia Tegra (actually five cores! ), Qualcomm Snapdragon, S4, and the Exynos line from Samsung. Smartphones in the burgeoning low-cost category are most often powered by a MediaTek APU. For anyone following more closely, you will notice that I left out the Texas Instruments OMAP (open multi-media applications platform) line. That would be a serious omission since TI invented both the terminology and the product category that enticed a group of fast followers to jump into the race. But this competition eventually forced TI out, and the company decided to end new development of the OMAP product. TI’s OMAP devices are still used in a number of platforms including the Kindle Fire tablet and even a pre-consumer product – Google Glass. TI led the charge toward the SoC as the next step in microelectronics integration. Along the way, they were challenged by Intel who led an opposing camp suggesting that the integration of diverse functionality was better handled at the package level. This became known as system-in-package (or SiP). Intel’s premise was that chip-level manufacturing was better suited to focusing on the needs of different functions – memory versus digital processing versus analog circuits – that could be brought together by stacking individual integrated circuit dies during the package assembly phase. Oddly enough, today’s smartphone APUs combine the best of both SoC and SiP technology. 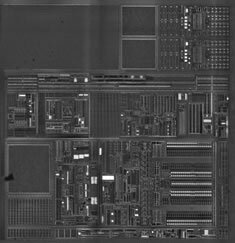 The main processor die includes a wide array of functions from CPU, GPU, static RAM, and analog interface blocks. Tablet computers often employ a different approach, but smartphone APUs are most often packaged in a special configuration that allows a dynamic RAM (DRAM) package to be mounted on top. The technique is appropriately known as package-on-package (PoP). It provides a complete computing platform SiP that requires only a separate NAND flash storage to operate. Even before package-on-package technology entered the market, TI recognized the utility in employing SoC and SiP in concert. The early OMAP devices added DRAM inside the package bonded to the APU die phase by the flip chip technique. Luckily for the evolution of the industry and consumers alike, the debate did not become overly politicized as nearly every manufacturer now combines the best of both worlds.